A claim for punitive damages may be included in a dog bite lawsuit where gross negligence is alleged. Often however, the inclusion is opposed by the defense, or it may not be allowed by the trial judge Because of lack of conclusive evidence that the defendant may have acted with a “despicable disregard” or a “conscious disregard” for public safety. Hence, the burden is on the plaintiff to produce the needed evidence. Often this means collecting discovery to prove that the dog had bitten a person prior to the incident in question, or that the owner previously was warned about the reckless manner in which the dog was managed, or warned about the dog’s dangerous nature. 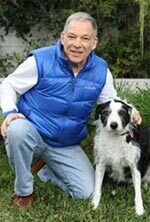 I recently read about a dog bite lawsuit in Kahala, Hawaii (Tomooka v. Bereday) that went to trial in 2007. In this case, a claim for punitive damages was presented to the jury. The fact pattern was as follows: in 2005 the defendant was walking her 100 lb. Rottweiler, along with several other of her dogs, off leash on Kahala Beach. At some point, the defendant lost control of her Rottweiler and he attacked a nearby 2.5 y.o. boy. He knocked the boy to the ground and then the dog grabbed him grabbed in its mouth. Fortunately, a former University of Hawaii football player came to the rescue and managed to get the Rottweiler to release the boy by punching the dog in the head. The defense maintained that the injuries to the boy were not severe, that the dog was docile and not aggressive by nature, and that the dog had never bitten a person before. The defense also argued that the owner was unaware that her Rottweiler could act in such a manner. These arguments did not provide a defense against the punitive damages claim. The jury came back with the largest award in a civil case in Hawaii for a dog bite victim: $500,000 in punitives and $356,000 for compensatory and medical damages. The plaintiff appealed, but the result of the appeal is not known by this author. What may have sealed the fate for the defendant was the totality of the evidence under consideration: namely, the defendant had been cited once and was warned on at least five different occasions to keep her dog on a leash. She ignored these warnings. One of these warnings came from the Hawaii Humane Society. 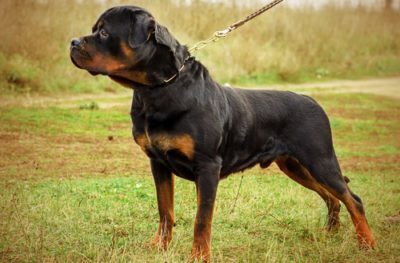 It’s also likely that the jury was sympathetic to the victim, given that he was a child, and they probably took into account the negative reputation Rottweilers have, and the large size of this particular dog.